With the pitiful ratings they get, Fox Chicago’s duopoly of WFLD and WPWR could use some Anger Management – not to mention a “winning” formula. Debmar-Mercury and Fox announced Wednesday it has secured a deal for all nine of its O&O duopoly markets to carry reruns of Anger Management beginning in 2014, including Fox’s duopoly of WFLD and WPWR here in Chicago. In addition, eight other Fox duopolies bought the show, including those in New York, Los Angeles, and Dallas. The show is being sold on a cash-plus-barter deal, with the minutes of ad time obtained by Debmar-Mercury yet to be determined. Stations will double-run the series in access and late fringe, seven days a week. Management will join other sitcoms in Fox’s block, including Big Bang Theory, The Simpsons, and Modern Family, which debuts next September. 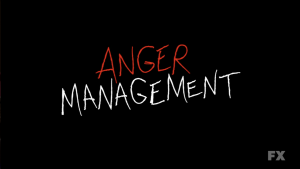 Anger Management was created with the 10/90 model in mind – test the series for ten episodes and if it does well, pick it up for ninety more episodes. The model has worked successfully in the past for Debmar’s Tyler Perry sitcoms, House of Payne and Meet the Browns. FX ran the series for ten episodes this summer and drew an average of 4.3 million viewers over its run with 2.5 million of them in the 18-49 demographic, with the June 28 premiere drawing 5.74 million viewers, the highest ratings ever for a cable sitcom. As part of the deal, FX also gets the rights to strip the series in fall 2014. Based on the 2003 theatrical of the same name, Anger Management stars former Two And A Half Men star Charlie Sheen.